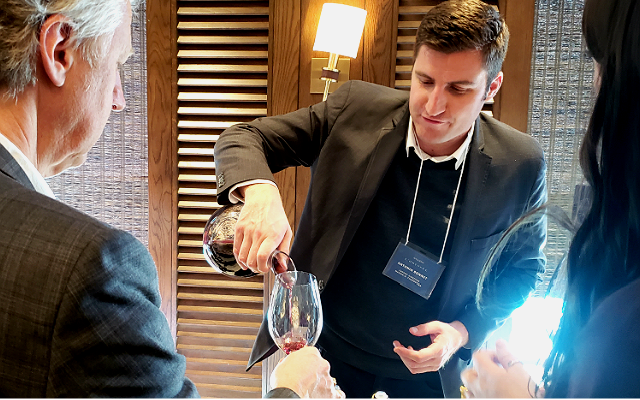 We attended a global wine tasting in Vancouver last month. While we were there we asked sixteen winery owners, winemakers and brand ambassadors from nine countries to present one wine they felt our readers should not miss, and to describe it in about 20 seconds. At the end of each video, we've included the suggested retail price of the wine across Canada. While the principals were speaking to the camera, Anthony was tasting and scoring their wines. His full tasting notes are below. We hope you find this posting a useful resource before you head out to the store this week. Click the video icon at the top to watch all of the videos played consecutively, or you can choose producers individually, organized by regions, lower down.